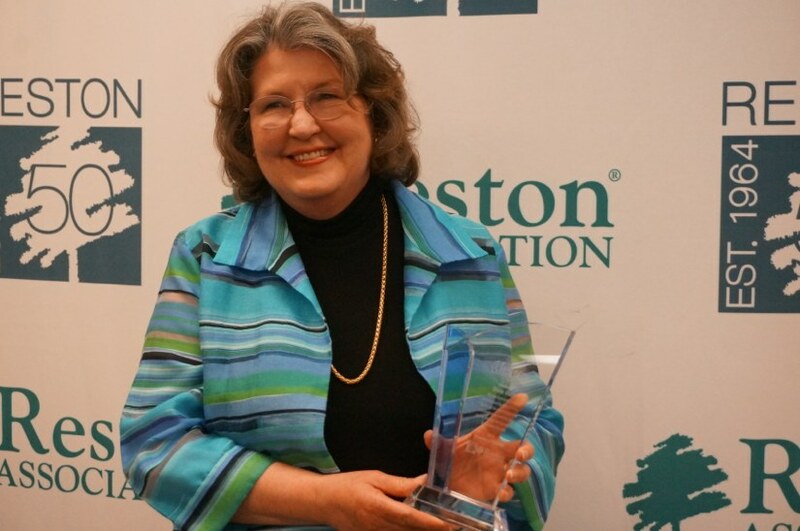 Longtime Reston resident Diane Blust, who leads several local groups committed to the environment, has been named 2014 Volunteer of the Year by Reston Association. Blust has served on RA’s Environmental Advisory Committee and was the chair of RA’s Sustainability Working Group. Outside of RA, Blust serves as the president of Sustainable Reston and was instrumental in developing that group’s partnership with Cornerstones to organize community garden plots at Reston’s Cedar Ridge Apartments. Blust also runs the Wednesday Smart Market farmers market, which is located in the parking lot near RA headquarters each Wednesday evening from May to October, and is the co-founder of of Reston’s Environmental Film Series. Padgett, O’Boyle and Parnicky serve as garden plot coordinators for Reston Association’s four community garden plots. The trip responds to inquiries, inspecting plots and advising RA staff on plots that need assistance, among other duties. The Boofie O’Gorman Team from Long & Foster Real Estate’s Reston office donated more than $5,000 and more than 100 volunteer hours to the 2013 Reston Kids’ Triathlon. Among other community support: Boofie and daughter Margaret serve on the Board of Directors of the YMCA Fairfax County Reston. The team also supports the Reston Triathlon by providing paid entry fees for first responders and supports the Reston Sprint Triathlon and the new Runners Marathon of Reston. The team also donates $1,000 annually to the Reston Association Camp Scholarship fund, which helps children in the community attend RA camps a reduced cost.